Another Windows 10 Redstone 2 build 14918 leaked info show up online. The latest Windows 10 build 14918 and mobile build 10.0.14918.1000 is now under internal testing. 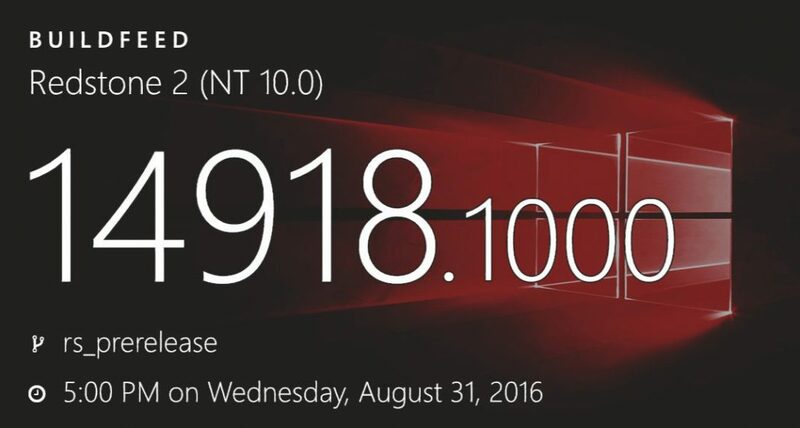 The current internal build is compiled on August 31, 2016. Previously, we had reported about internal build 14917.